Over more than 50 years of ministry, Dr. Kenneth Connolly has pastored churches, taught in schools and on television, and scripted and hosted biblical videotapes. One of his best known works is TheIndestructible Book , the story of how we received our English Bible. Ken was born on June 19, 1927 in Sunderland, England, but was born again on October 26, 1944 in Maybole, Scotland. Ken came to the United States in 1950 under the auspices of the Billy Graham Association, and became a naturalized citizen in May of 1966. Ken pastored Grace Baptist Church in Fort Worth, Texas from 1953 to 1955, and Berean Baptist Church in Houston, Texas from 1964 to 1965. He was the founding pastor of Berean Baptist Church in Orange, California in 1966, and pastored there until 1976. Ken taught Bible at Baptist Bible College in Springfield, Missouri from 1959 to 1964, and at Pacific Coast Baptist Bible College in San Dimas, California from 1988 to 1993, where he was the chairman of the Bible department. 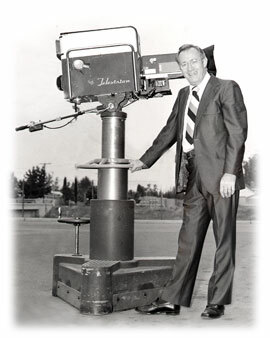 Ken was an early pioneer in Christian television broadcasting, and operated Christian television station channel 46 in Los Angeles from 1973 to 1975. He is the host and author of a number of Christian documentaries, and has lectured extensively on the life of Christ and on the Reformation. Ken was a frequent guest speaker at Bible conferences worldwide, including the U.S., Great Britain, Singapore, Hong Kong, India and Europe. Dr. Ken went home to be with the Lord he so faithfully loved and served on Friday, October 28th, 2005.